Tonight, The Orville season 2 episode 11 brought you magic — bittersweet, sad, nostalgic magic. “Lasting Impressions” is about being grateful for what you have and enjoying the little things in life. After all, what you may hold disdain for in the present could turn out to be whimsical centuries from now. At the start of the episode, the story began with the crew finding a time capsule from the year 2015 and in it was a cell phone. 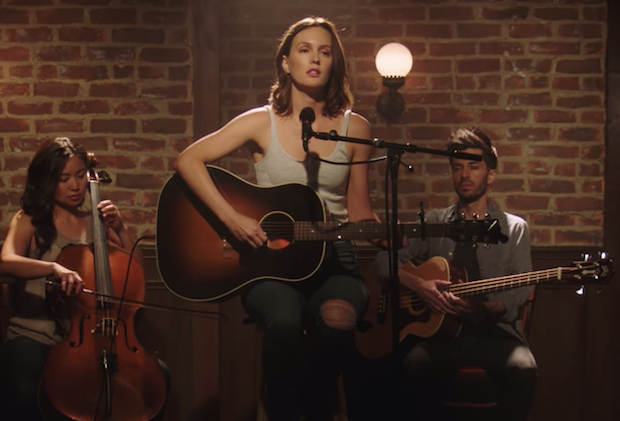 On that phone was a video from a woman named Laura Huggins (Leighton Meester), who wanted to give future centuries a chance to remember her life — plus, she’d just got a new phone. Everyone was fascinated by her and her story, but Gordon took that fascination to another level. We wouldn’t use the word “obsession” for it, at least at first, but it turned into something more. In this week’s new chapter of “the simulator is bad news,” Gordon was able to rig it in order to spend some time in the past — or, at least, a version of the past. He met Laura at a party and, soon after that, realized that she was someone special. She was a singer, a dreamer, and someone who hated her day job at Macy’s. She was very 2015, but not in a condescending way where it was The Orville mocking the millennial generation. There was something sentimental about Laura — not in a corner way, but more that she represented a cross-section of what life was like. What we do wonder about are the parameters of said simulation. Was Laura predisposed to like Gordon based on this being a simulation we set up? Or, was this simply him realizing that he found some common ground with this woman? It was hard to fully wrap our brain around the realism of this simulation given that the phone he created actually worked outside of the simulation. It was as though this life coincided with his own. He went to parties with her, he watched her perform a song from The Last Unicorn, and eventually, he even brought Ed, Kelly, and others to spend time with her at a game-night party. He slept with her and the relationship crossed over into real life. It was real life. Gordon understood the danger of simulations crossing over to life, but he convinced himself that this wasn’t some program. This was her creation. We think we got our answer as to the reality of this simulation when Gordon showed back up to the house and learned that she got back together with her ex Greg. He knew it was a possibility and still, he thought he could change what was already written. Here is what made this entire story brilliant, upon reflection: Gordon threw himself into this world in order to discover something about himself that wasn’t there. For a brief period of time, he thought he discovered it … but then he determined that he couldn’t change history. Even his presence there could alter the timeline, no matter how good a boyfriend he apparently was. His only solution after this? That he got completely off-kilter and alter the simulation himself. He deleted Greg. He thought everything was great, but then … he learned that she wasn’t the same person that she once was. If Greg wasn’t there, she wasn’t the same. That’s why the episode ended with him putting things back the way that they were, and then joining her for a quiet duet at the end of the episode. Clearly, there’s something within Moclan DNA that makes them struggle with anything and everything that’s a drug. Previously, it was simulations. Tonight, it was cigarettes. They discovered some in the time capsule and soon after that, they became addicted and went through ALL of the crazy stages. While there were some funny moments in here, including Bortus hiding countless cigarettes in his pillows and his hot-take on gum. Eventually, both he and Klyden were cured of it by the end of the episode. This episode was both a beautiful character study, an emotional gut-punch, and a story of reality and fiction. Maybe through all of this, Gordon realized more of what he wanted from his life — and then also, that he was never going to get it trying to play god. Sometimes, the past has to be the past, and it doesn’t matter whether you are talking about a woman from 2015 or addictive nicotine. “Lasting Impressions” made a lasting impression. 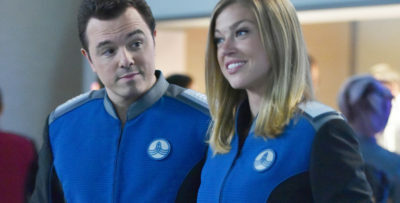 This is one of the best episodes of The Orville and, to date, one of the most poignant episodes of 2019 … and that’s all we’ve got to say, to quote a certain song. 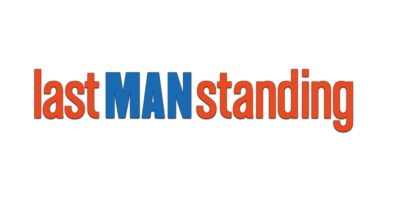 Be sure to head over to the link here for a look at what’s next! Unfortunately, you’ll be waiting a while for it.